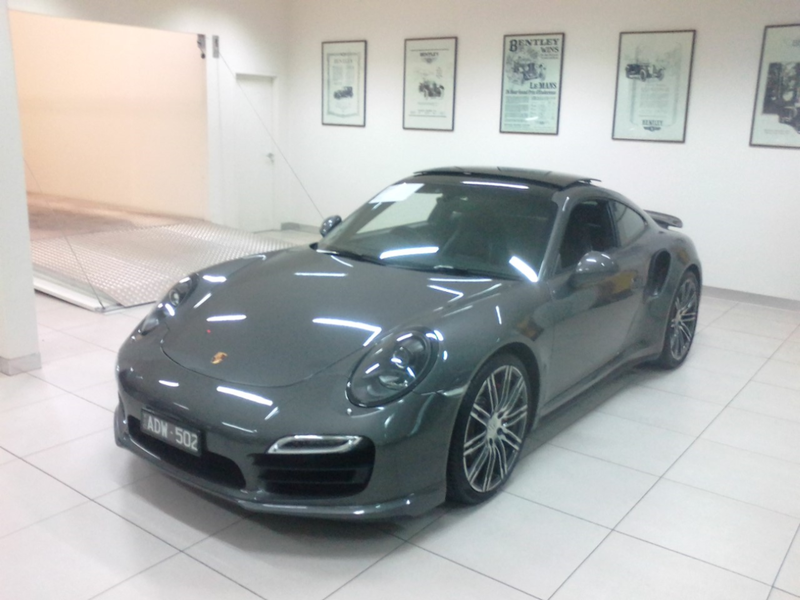 I am the owner of several sports cars, one of which is a 991 Porsche Turbo .Recently the major service was required. This involves the Spark plugs to be changed, it all sounds not too difficult, until you speak to the Porsche specialists who perform the necessary work, and anyway I realized that it was indeed a specialist job. ( SEE Photo Below ) I spoke to the local Porsche centers and was informed it was a time intensive job that required an array of specialist equipment. As an alternative to the service centers. I contacted David Brennan who offers a Mobile Porsche service in Melbourne. He is a most impressive young man who shares a genuine passion for Porsche and he instilled confidence and trust in my decision to engage his services. The care and diligence that he displayed whilst carrying out the service was absolutely first class, and he will be now my first option in future. I am a long standing sports car enthusiast who has experienced both good and bad in my involvement with car maintenance, and I would not hesitate to recommend David Brennan for any major or minor work required on your prized possession. All this at a reasonable cost. Had David perform an intermediate service on my 997 4s and put in new springs, and could not be happier. Evident he has a talent for the work he does and evident that he is extremely well set up and meticulous in his work. David’s customer service, professionalism & expertise is second to none. I used David’s services to perform a pre-purchase inspection on a dream car (911) that I had my heart set, the report I received back was detailed and he went over every little piece of the car and listed the amount of work and cost for a large number of the issues. Paying for the PPI saved me $5k plus if I had of just listened to the dealers spin. Best money I’ve spent and I recommend Nürburgring Mechanical to anyone looking at Porsche’s or needing servicing done.